Are you new to DoTERRA? I'm so excited for you :) I remember when I first signed up. I was so excited receiving my first order and still am with every order! Getting started is so easy. Let me help you get set up quickly. DoTERRA is a worldwide company so you can join to work with me from any Country in the world. Just click here to Join. Review the page for Wholesale Customer and Wellness Advocate information. You can sign up as a Wellness Advocate even if you don't what to start a business selling DoTERRA as it gives you more options when ordering. *Click "Join DoTERRA" at the bottom of the page. *Select to buy in Canadian or US Dollars or your Country, click "continue"
*Choose your kit (see more information below) OR the intro paperwork only and select any oils products if you want to order some at this time. If you want to start doing classes right away, select the Class in a Box to get started. *Complete your payment information and DoTERRA will set up your account at that time and send you an email confirmation and then a verification when your package is sent to you. It may ask you if you want to set up a LRP order - only do this if you want to order every consecutive month, you can add this later if you want, but there is no requirement to order monthly. You can go to your DoTERRA back office to look around. Any questions, let me know. I think you will be happily surprised at all the different products available and remember no nasty chemicals in any of it! You can check out kits here for options. The membership fee is waived when you order an enrollment kit. You can also customize your order by ordering other supplies at this time also. 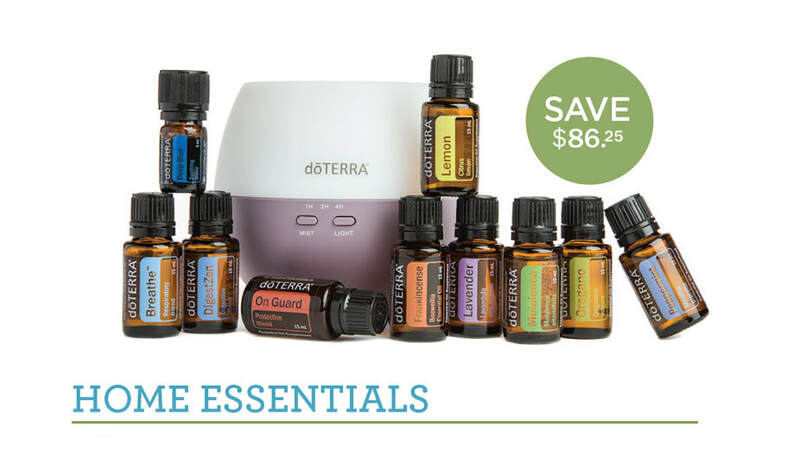 When you renew your membership the following year, DoTERRA will send you a free bottle of Peppermint Essential Oil that is worth more than the renewal fee. Remember on each order you now save 25% off products, receive free shipping points and also free product value (pv) points on your orders that add up to free products! It's always exciting to open every DoTERRA package and let nature guide you to wellness in many areas of your life! Essential oils will help you, your family, friends, community, support your wellness needs in many ways and DoTERRA is always creating new oils, blends and products. ​I am always here to help you if you have any questions or comments, please do not hesitate to ask. We also have a team that loves to share and help, training in online oil camps, BOGO events and more!